1. Yesterdays/Day before Yesterdays map update of the Europe Map has new contourlines - so especially all OSx users - please do not reuse the old contourlines. For Windows the installer throws an error message anyhow. It took me a lot of time to iron out bugs in the contourline data, convert it correctly to the needed input formats - fill voids and put it together. 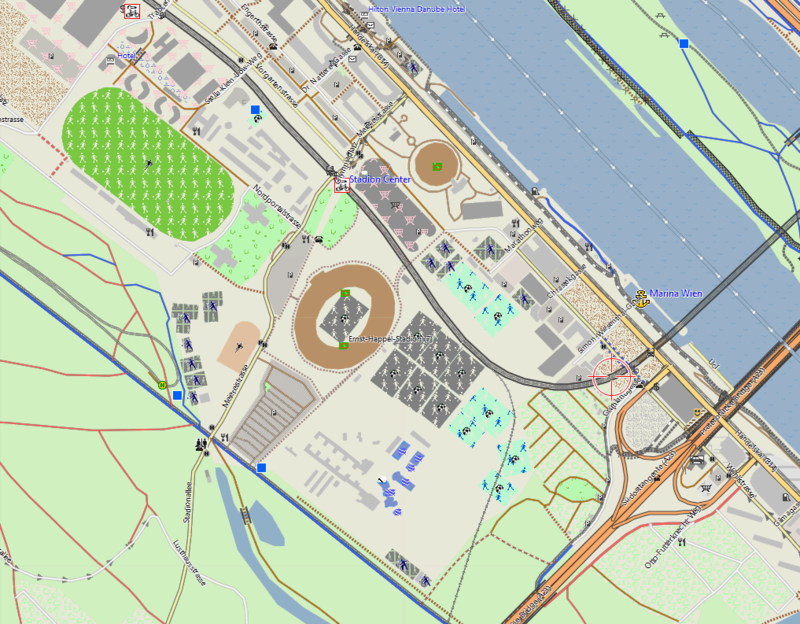 The Europe map is now the first to be fully based on Sonnys LIDAR data where available (Italy is new), elsewhere the still pretty excellent ALOS World 30m data - and from 60° northwards voidfilled viewfinderpanoramas 3" data. 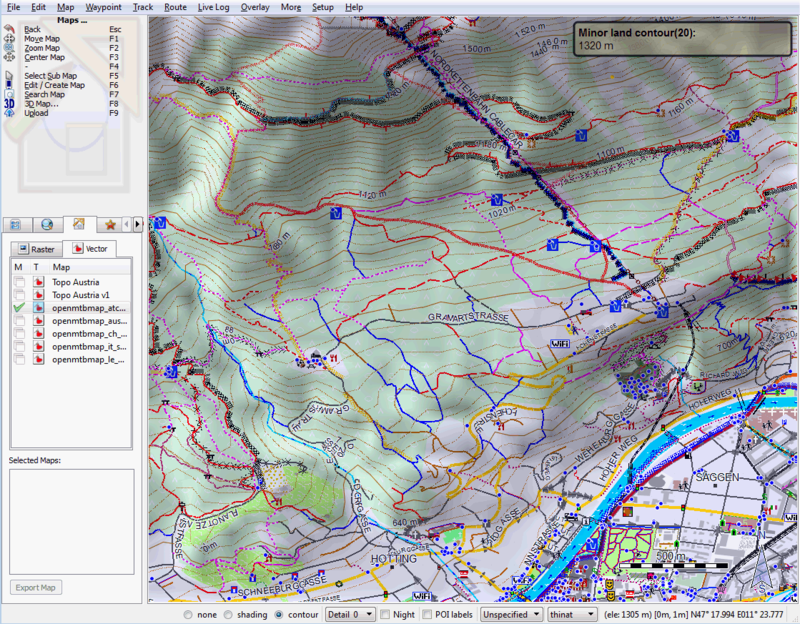 Yes except for the Alps the Viewfinderpanoramas 3" data used to be the common source for all my contourline maps - it's IMHO crazy how much better the ALOS - and of course LIDAR data is in mountaineous regions. LIDAR data is from laser scanning - of course that will be the best possible to attain, however the ALOS data (downsampled from Alos World 5m data to 30m) is where it's not voidfilled by SRTM1v3.0 really astonishingly good in my eyes. Often flatter forest areas are put 5-10m too high (but SRTM and viewfinderpanoramas also have that problem - if a little less) - but especially in rougher areas the accuracy is pretty good. 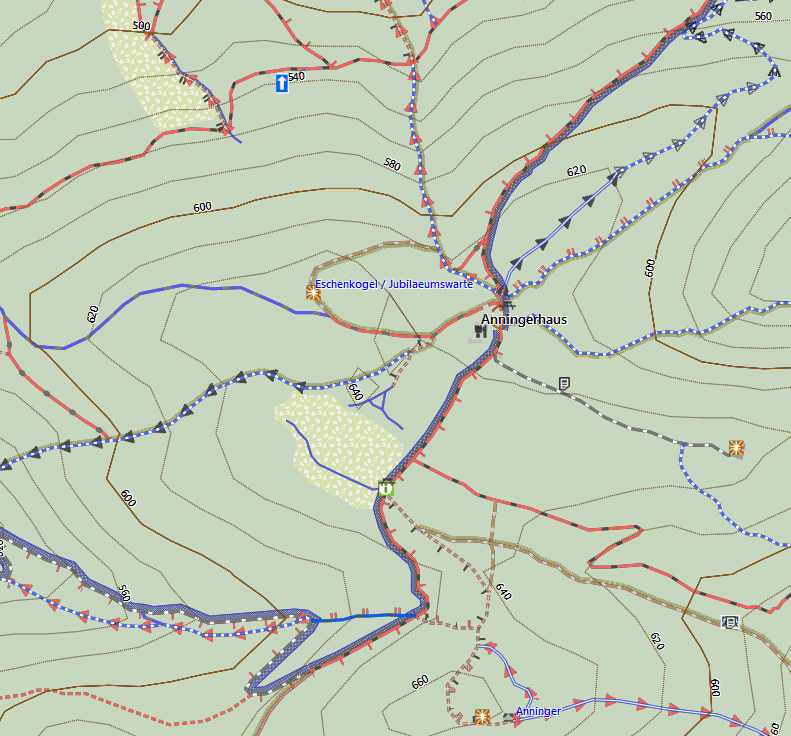 I've now also put 10m contourlines instead of 20m interval to all European countries that have no summit over 500m altitude (and to some Germany Bundesländer Maps). Else it's 20m. This weeks map update will be using the new contourlines for most European countries, and some worldwide countries - however only for maps where the contourlines are not a separate download. Next week map update will then have the new better contourlines for all countries. 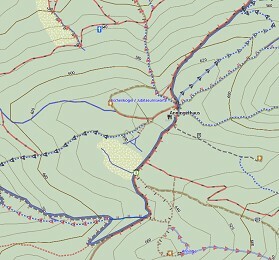 Also of course again all contourline maps come with altitude shading and for those countries like Europe continent map where partly contourlines where missing - this should be fixed with the new contourlines. See below for the Matterhorn - the Matterhorn is pretty much data rubbish in most elevation models - due to it's sticky pointyness, usual cloud cover and glaciers. Thanks to LIDAR data it's really pretty exact (compare that to SRTM1 rubbish in Google earth for fun). 2. Again to stress on Basecamp 4.7.0 - Please do not use it neither on OSx, nor on Windows. It is prone to crashes - and while on Windows MapInstall 4.2.0 which comes with it - will not send maps on Windows, and often crash while sending larger maps on OSx. On Windows make sure to run both Uninstall and Installation with Administrator rights - and if you have Problems - Uninstall again - and delete all garmin Folders in Program Files / Program Files X86 folders. Your userdata is safe and not affected as that is in your Userprofile / Appdata folder (no need to delete anything here). On OSx I'm not quite sure how to check correct full uninstallation - but it should be similar.